Prostate cancer affects a major proportion of older men, and effective preventive measures are few. Earlier suggestions of 10–30% risk reduction from vigorous physical activity thus merit further analysis. This narrative review updates information on associations between physical activity and prostate cancer, seeking activity patterns associated with maximal risk reduction. Systematic searches of Ovid/MEDLINE and PubMed databases from 1996 to June 2016 have linked the terms prostate neoplasms/prostate cancer with occupation, occupational title, sedentary job or heavy work, exercise, physical activity, sports, athletes, physical education/training or aerobic fitness. Combining these searches with findings from earlier reviews, 85 analyses were captured, although three were repeat analyses of the same data set. Seven analyses reported increased risk, and a further 31 showed no clear relationship. However, 24 analyses found a trend to diminished risk, and 21 a significant decrease (10–30% or more) in at least some subject subsets. Benefit was seen more consistently in occupational than in leisure studies, usually with adolescence or the early 20 s as the optimal age for preventive activity. In general, benefit showed a dose–response relationship, with vigorous activity required for maximal effect. Furthermore, several recent observational studies have indicated that physical activity is beneficial in preventing disease recurrence and improving survival following the diagnosis and treatment of prostate cancer. Despite continued research, conclusive proof of an association between regular physical activity and a low risk of prostate cancer remains elusive. 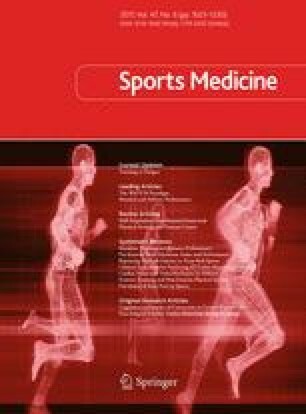 However, reports that exercise exacerbates risk are few, and despite issues around controls, covariates, and co-morbidities, an impressive number of studies have now found significant benefit, suggesting that regular physical activity is important in terms of disease development, progression, and therapy. Given also the many other health benefits of an active lifestyle, it can be recommended as a potentially useful measure in the prevention of prostate cancer. Roy Shephard declares he has no conflicts of interest relevant to the content of this review. No issues of human or animal experimentation arose in the preparation of this review.